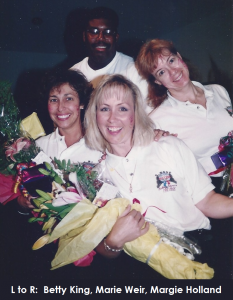 C-MENT was the brainchild of Marie Weir and key assistants Betty King, Margie Holland and Harvey Payne, who brought the ministry to life in December of 1993. With a cast of 33, the inaugural production of Not a Creature Was Stirring was a such a positive experience for the children, families and congregation that it was decided to continue offering children’s musical theater built on the foundation of the church. Two of the early productions were written by Marie Weir: PLC’s Greatest Adventure and The Gift, which showcased her creativity and desire to reach people for the Lord through music, drama and dance. 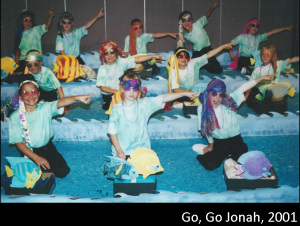 In the early days, the work of just a dozen parents breathed life into this new ministry and made it possible; including serving a hot meal to the entire cast every week and creating a custom-written Bible study. The commitment to the Bible study component is what has made C-MENT’s program unique from other theater programs in the area. C-MENT has helped young performers grow in their own faith, becoming in effect worship leaders as well as using their talents and spiritual gifts to glorify God. With word of mouth serving as our primary public relations effort, the “good news” of C-MENT started to spread with performers’ friends coming to see the production and many returning to join the following production. PLC’s C-MENT ministry is a beautiful example of what the Lord can do when one person utilizes their God-given talents to bless others. From its humble beginning to its 50th production, C-MENT remains faithful to sharing the Gospel through the medium of musical theater. As C-MENT’s outreach grew in the late 1990s, the ministry underwent transition and change with new directors coming on board: Margie Holland (2 shows–1998), Crystal Verdon (2 shows—1999 & 2000) and Catherine Henry (9 shows—1999-2002, 2005). 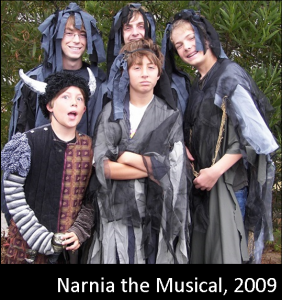 From 2001 to 2004 there were three productions per year: a Christmas show for K–5th graders, a spring musical for 6th–8th graders, and a summer musical for high schoolers. The C-MENT Advisory Board (mainly comprised of cast parents) was formed to provide further support behind the scenes as the needs of the productions became more extensive – this ministry would not have been able to influence the lives of so many youth without the dedicated support of the volunteers. It has also benefited from the gifted musical and leadership skills of Adele (then Granmo) Buffington who joined PLC’s staff in 2000 subsequently becoming the Director of Performing Arts in 2002. With the support of Pastor Greg Hoffmann, Adele renewed the vision of C-MENT by inspiring the cast to worship God through the often unique, but always Christ-focused songs. After being Choreographer for many years, Betty King added C-MENT Director to her title in 2003. Since then, Betty has encouraged students to take leadership in different areas of production. For example, cast member Matt Davis began helping run lights and sound; dancer Mallory Kozar helped with choreography; and Loriel Dutton incorporated American Sign Language into each production. In that spirit, Adele and Betty teamed up with then-Board President Sandra Thomas to rewrite show scripts to better highlight each performers’ gifts. Over the period from 2005-2010, C-MENT continued to evolve and grow. Performers who had started with C-MENT as youngsters were growing up and following paths that touched back to their time onstage. Long-time cast members who met through C-MENT, Harrison Parker and Stacey King (Betty’s oldest daughter) went on to Concordia University-Irvine and eventually got married in 2010. Harrison is now an ordained Lutheran minister. C-MENT alumni Matt Davis is now a graduate student at Yale’s School of Drama for Technical Production and Design and working as a Production Manager for New York Stage and Film. In 2005, C-MENT merged the spring and summer shows to better accommodate middle school-aged performers who were in Confirmation. With the combined cast of 6th-12th graders, C-MENT started producing Broadway-level shows starting with Godspell in 2006. This gave C-MENT the opportunity to start performing popular, family-friendly secular musicals along with Christian-focused shows. Custom-written Bible studies made connections with show themes whether Christian or secular. Cinderella (2008) was a favorite as younger cast members were invited to participate in the “older kids” show; they were also invited to participate in Narnia: The Musical (2009). PLC has tremendously talented adult members and C-MENT parents were periodically asked to be guest artists, such as Hanns Lindberg portraying Father Christmas in Narnia. A whole new generation came up through the C-MENT ministry glorifying God through drama, music and dance. As each cast bonded through the months of rehearsal, evidence of their deepening faith was seen by their comfort level in praying out loud with one another. Dedicated cast prayer time has become a cherished tradition before each performance. C-MENT has grown in ways never imagined back in 1993. 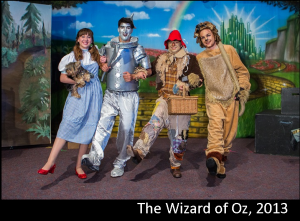 Productions such as Joseph and the Amazing Technicolor Dreamcoat, The Wizard of Oz, and We Three Spies saw record participation with casts as large as 65 performers. Isaiah Jones had ‘pixelated’ sets, video graphics and a highly-talented younger cast. High School Musical showcased modern hip hop choreography. Retooled scripts (Christmas shows) provided fun roles to fit students’ areas of talent and allowed them to shine their light. PLC’s congregation has been integral to the success and growth of C-MENT by giving support, volunteering time in areas such as audio-visual, set painting, running lights, collecting props, and leading Bible Explorers as well as joining the Advisory Board and regularly attending productions. Even without having children in the show, volunteers such as Brian Kloo, Jim Yamamoto, Andre Murphy, Bruce Bergman dedicated countless hours over the years to run sound; C-MENT Alum Matt Davis designed lights; Joan Bonetti painted sets; Janet Pitcher created amazing costumes; Dawn Pyshny helped with choreography, Pam Davis donated cast photography; Katie Watson wrote Bible studies and our amazing Advisory Board members have donated their time. As C-MENT prepares for its epic 50th all-age production of Fiddler, we reflect and thank God for the blessing that PLC has been and for all the people who have contributed to C-MENT over the years. It is our hope C-MENT continues to draw people to Christ, strengthen families, make disciples and share Christ’s love with the community.